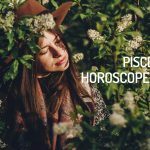 Looking for the Pisces Horoscope for 2019? Every month, you will find here the astrological forecasts for your zodiac sign. Check the Horoscope for Pisces, in 2019. Love in the beginning of 2019 for the Pisces will be influenced by Pallas, which will improve communication between couples and encourage agreements. Prepare for changes at home, moving and other transformations that are more external than internal. The influence of Venus will make the followers of Pisces more romantic in March. Past lovers may appear and there could be reconciliation. With respect to finances, the year will start with good potential in credit and investment fund opportunities. At work, Pisceans will have good communication and the power to convince others, so it is an ideal time for doing business. The stars will have a positive effect on finances, salary readjustments, bonuses, commissions etc. in March. Be ready for an increase in income. Physical health will be stable and there will be leftover energy available for mystical or spiritual searches thanks to the influence of the Sun. Health could not be better, you will be in great shape and in a very good mood. The trimester will end with the need to review some mental blocks related to sexuality together with a specialist. In April, friendships will become sincerer and some truths will come out in relationships as well. In May, Singles will be encouraged to declare their love to that person who interests them or they could earn more lovers. In June, friends and family will share great moments of joy and fun with the followers of the sign. You will have good times financially and experience tranquility and stability, but there will be some problems with your professional development at work. Relationships with some coworkers will become tense because you will defend your convictions. You will focus more on your professional goals and the image you want to project in your job. At the beginning of the second trimester the natives of Pisces could feel a little stressed or more melancholic. They will feel a little alone. Their mood will improve, however, and they will feel the need to be more gregarious. It is a period of hypersensitivity, followers of the sign must proceed with caution, both emotionally and physically, in addition to avoiding self-medication. In July, the sons and daughters of the sign will be more sensual. Romantic possibilities will present themselves and couples will enjoy their intimacy. There will be good communication between couples and a need to be with your parents. The third trimester will end with the need to think through your words before speaking and reconnect with your kinder side. At work it will be necessary to get any agreements in writing. Pisces will face some fears in their professional development, but at the same time, they will see their projects more clearly. There may be financial or work projects together with true friends you trust. The influence of the Sun in July will provide vitality and energy to the natives of Pisces. They will begin to be more responsible with their health. They may take exams or adopt healthy habits. September is a good period to review and work on some trauma or psychological limitations that prevent you from moving forward. During the last quarter of the year you will feel the tendency to look into the future with a beloved, either formalizing engagements or having a child. Love could arise within your group of friends for those who are single. In December, there is a need for couples to discuss pending issues and resolve conflicts. At work there will be an international outlook and the possibility of expanding your professional knowledge. November is a good time of the year to organize any accounts, as well as organize your ideas and projects. Professional contacts and your circle of business partners will expand. Pisces will be freed from heavy burdens and be in better shape psychologically and with more self-esteem. It is a good time to take a break, rest and recharge your batteries. The year will end with a visit to the doctor and recognition of some changes that need to be made to improve your health. The presence of Pallas in the VIII House of Pisces is an excellent transit for discussing responsibilities within your relationship and establishing agreements for coexistence. The start of the direct phase of Uranus in the II House of Aries (01/06) will be the incentive you need to update your finances, negotiate payment plans and purchase banking products with advantageous conditions. The entrance of the Sun into the XII House of Pisces (01/20) indicates that it is a favorable time of the year to practice meditation, prayer or psychological therapy. You should connect with your divine essence. The entry of Juno into the IV House of Pisces (02/11), will be an unavoidable reminder of any home repairs you have to do or an impending move to a new home. The entry of Mercury in Pisces (02/10) will provide you with the necessary tools to publicize any initiatives and improvements related to your profession. Likewise, this transit will benefit those who act as a spokesperson for humanitarian or charitable organizations. The natives of Pisces will enjoy good vitality and physical strength in February thanks to the passage of Mercury and the Sun over the sign of the fish. The entrance of Venus into the XII House of Pisces (03/01) represents repeating old patterns which are related to partner relationships or it could be the appearance of an old love. With the Sun in the II House of Pisces, starting on March 20th, a significant increase in the inflow of resources should be expected. This is either due to a raise or the payment of old forgotten debts. The entrance of Eros into the VI House of Pisces (03/29) represents a powerful ally when it comes to exploring traumas or mental blocks associated with sexuality, with the help of a qualified medical specialist. The double Full Moon in Libra, which will take place on April 19th is characterized by bringing whatever you have evaded or kept hidden to the forefront of conversations when dealing with your life partner or close family members. The economic bonanza will continue for the natives of Pisces during the month of April. However, the retrogradation of Jupiter in the X House of the sign of the fish may hinder your plans for promoting yourself professionally. There will be increased distance from your group of friends which will be motivated by the retrogradation of Pluto and Saturn in the XI House of Pisces (during the second half of the month). This will generate the feeling of being emotionally helpless. The entry of Mars into the V House of Pisces (05/15) will give followers of the sign the courage they need to launch themselves into winning over a love interest. The entry of Lilith into Pisces (05/03) will impel you to rebel against whoever tries to give you their responsibilities and blame, which will cause surprise and discomfort in your workplace. Physically, the sons and daughters of Pisces will have a lucky streak, but loneliness may play tricks on them emotionally. During the first two weeks of June, Mercury will enter the V House of Pisces (06/04) and Venus will enter the IV House (06/08), which means that you will have multiple opportunities to have fun as a family. Do not waste them. The entrance of the asteroid Juno into the VI House of Pisces (06/20) indicates that you must commit yourself to specific objectives at work and the image you want to project professionally. The beginning of the retrogradation of Neptune in Pisces will increase the sensibility of the natives of the sign, both emotionally and physically (be careful when taking medications or non-prescription substances). The entrance of Venus into the V House of Pisces (07/03), opens the door for romantic opportunities and the experimenting with sensual pleasures. Mercury will be in retrograde in the VI House of Pisces from July 7th to July 18th, so it is recommended not to take any verbal agreements reached during this period for granted. In spite of the retrogradation of Neptune in Pisces, the entry of the Sun into the VI House will confer greater vitality and physical strength to the natives of the sign of the fish. Starting on August 11th, Jupiter will begin its direct phase in the X House of Pisces. This is a planetary transit that encourages reconnecting with a father figure. Venus Star Point (Sun – Venus conjuction) will appear on August 14th. This astral event will impact the VI House of Pisces and reveal your true desires in the professional field in addition to the fears that prevent you from achieving them. A positive outlook for health for the sons and daughters of the fish. It is a good time to perform routine medical consultations and make changes to your eating and exercise habits. The retrogradation of the asteroid Vesta in the III House of Pisces (09/23), implies that there will be a deep revision of your internal dialogue and the way you pose your ideas in front of others. Saturn will begin its direct phase in the XI House of Pisces on September 18th, which will strengthen ties with your closest circle of friends. Keep in mind that, following this moment, whichever friendships you keep moving forward will be aligned with your vision of life and future projects. The Sun, the ruling luminary of the VI House of Pisces, will enter the VIII House of the sign, which is a favorable alignment for attending individual or group psychological therapy sessions, with the purpose of overcoming past traumas. It is important to remember that the North Node of Karma will be located in the V House of Pisces in 2019, which will lead to conversations about everything related to advancing personal projects and the desire to have offspring. The passage of several planets over the IX House of Pisces during the month of October will give you more urgency to restart projects which are aimed towards acquiring new academic credentials or international contacts. The Full Moon on October 13th alludes to the breaking of old habits that threatened your self-esteem. Free yourself from the burdens of the past. The entrance of Venus into the XI House of Pisces (11/25), suggests the awakening of a romantic interest with somebody associated with your usual group of friends. The direct phase of Mercury will begin in the IX House of Pisces on November 20th. It is an ideal time to systematically review the procedures you must follow to proceed with concluding international agreements or enrolling in specialized courses. Neptune, ruling planet of Pisces, will begin its direct phase in the sign of the fish starting on November 27th. This means that you be more relaxed when resting and have a perception that is closer to reality. The beginning of the direct phase of the asteroid Vesta in the III House of Pisces (12/29), facilitates the process of bringing up uncomfortable conversations which involve family members and have been postponed repeatedly until now. The entrance of Jupiter into the XI House of Pisces, starting on December 2nd, indicates the expansion of your network of contacts and that you will participate in public initiatives. The asteroid Psyche will enter the Pisces sign on December 27th, inviting you to recognize your vulnerability as a strength, instead of something you have to hide. Pisces starts the year a little more absorbed. In the affective life the support of some friends will help you overcome some difficulties. An uncomfortable situation at work reaches an end, which will leave you quite relieved and more energetic. Stress may cause problems with skin allergies or stomach disorders. A period of self-analysis will be extended for some time, because you will need to clarify very well your purpose in life and integrate some deeper situations. You’ll focus more on expanding your economic resources. The revision of some relationships with friends and family will be an important issue at the end of April. Good year for new projects. Some advances in economic terms begin. Good recovery of diseases in general. Romanticism emerge in couples in love and also in singles. The possibilities of important purchases are extended. Projects at work and on a personal level gain strength, especially if they involve creativity and innovation. Avoid contact with sick people. You’ll feel a little weaker and tired. You’ll be a little shyer. Try to keep your mood up, don’t isolate yourself and don’t stay alone. Pisces natives who are unemployed will have several opportunities to get a good job. You will have to try to care for the liver and the gallbladder, so avoid foods that can affect them. Good start of the last semester to make plans for the future with your better half. Love and compassion will be the weapon for your emotional evolution. As the year ends, you’ll be feeling more strengthened, reconciled and with the inner peace you yearned for. Pluto and Saturn will stay in the XI House of Pisces, indicating that the support of friends is essential to get through different processes of transformation. However, it is worth remembering that Lilith, the Black Moon, is also in the same location (XI House), and alludes to a concept of poorly interpreted autonomy, which can turn into self-centeredness. The total eclipse of the Full Moon in Leo (01/31), will touch the VI House of Pisces, which indicates the end of a situation that made you feel manipulated in the workplace, or disgusted with the tasks that you had to complete. Tensions in the workplace will greatly influence the state of mind of the Piscean native, which may result in the somatization of the situation, materializing as skin allergies, intestinal disorders or episodes of food anxiety (bingeing, or fasting). The partial eclipse of the Sun in Aquarius (02/15) will take place in the XII House of Pisces, calling for deep introspection, a true revision of the motives and objectives of life, before taking the next step. Uranus in the II House of Pisces, focuses attention on the need to find alternative (or innovative) sources of income that help build financial independence in the medium or long term. Fertility. Several planets will be traveling on your sign, including the Sun, which translates into vitality and strength, as well as favoring the recovery of the sick. Jupiter, the planet of expansion, will begin to retrograde in the IX House of Pisces, reinforcing revision of beliefs. The dark side of this location is that the sons and daughters of Pisces can come to believe that they are the absolute owners of truth and not listen to what happens around them. Significant financial improvements. Excellent period of time for purchasing works of art or antiques and real estate. The natives of Pisces who are dedicated to trade will discover good opportunities. The physical state remains stable during the month of March. Caution is advised on long trips or travel abroad, since the retrogradation of Jupiter can cause minor accidents, or sudden ailments. Pluto and Saturn will begin to retrograde on the XI House of Pisces, inviting you to review the relationships that are kept with friends and the community. Old resentments will come to light. Chiron enters the II House of Pisces (04/17), which means healing your relationship with money. In this sense, it is about not neglecting material items, but not placing it on a pedestal. Awareness and merit. Devote more time to rest, it will be beneficial for your health. Minimize the intake of substances with caffeine. Good opportunities are prophesied on the romantic plane. The home will be considered an oasis, ready to help you harmonize your emotions. Envy and power struggles within groups of friends. Distancing from others. Good season for exhibitions, presentations and developing innovative projects that require a good dose of creativity, ingenuity and scientific rigor. The entry of Mars into the XII House of Pisces (05/16), is a wake-up call. This location can lead to negative feelings, such as frustration, victimhood and sadness. The frictions that have arisen within your group of friends can lead you to apply a kind of self-imposed vote of silence, letting the opinion of others prevail, even if you do not agree. Improvements in the workplace. An advance, promotion or changes are announced that will positively impact your work rate. Growing creativity. Neptune, the ruling planet of Pisces, will begin its retrograde phase (06/18), which leads to nervous imbalances, interruption of sleep patterns, and difficulty concentrating. The eclipse of the Sun in Cancer (07/13), will touch the V House of Pisces, signaling the beginning of an unforgettable romantic adventure, or a new step that will consolidate an already existing relationship. Although Chiron will begin its retrogradation in the II House of Pisces (07/05), affecting finances, opportunities in the work environment will multiply. New projects and offers are on the way. With the total eclipse of the Full Moon in Aquarius, in the XII house of Pisces (07/27), a period begins for inner healing, and free of weights which hinder the path to serenity. The topic of relationships will be in the spotlight during the month of August. The sons and daughters of Pisces will turn to their partner for support, both for understanding situations of an emotional nature, and to share plans and projects. On August 11th, the partial solar eclipse in Leo will take place, an event that announces the redefinition of your work and health objectives. If you accepted a new job proposal recently, that path will be successful. Conscious work on the topic of all-around health. The intention will be focused on achieving balance and maintaining it, understanding the importance of one’s own well-being, at the same level that the well-being of others is desired. The retrogradation of Pluto and Saturn ends in the XI House of Pisces, softening tensions in groups of friends. Perhaps you feel more isolated or that you have fewer colleagues than before, but the bonds of loyalty with those present will be strong and lasting. Enjoy intimacy as a couple. Financial support from close relatives or your life partner who will contribute to overcome the economic mishaps that arise. Good time to practice spiritual healing therapies, attend coaching sessions or request the support of a therapist. It is necessary to let go of the past and to advance towards the future. The retrogradation of Venus in the IX House of Pisces, starting on October 5th, will allow you to determine if you learned the lessons taught in this area of the natal map (IX House), during the retrograde phase of Jupiter. It’s about measuring the value you give to your own beliefs, and the need to listen to others. Towards the end of October, you will begin to develop an idea that will give more projection to your professional image. You are on the right path, do not be afraid to move forward. The physical state of the natives of Pisces will remain stable during the month of October. However, they may experience certain imbalances in the mental plane, which will cause them uneasiness. The North Node of the Moon will be activated in the V House of Pisces (11/15), noting that it is time to enter reality, and work on evolution through love and relationships. In its retrograde phase, Uranus will enter the II House of Pisces (11/06), which implies little planning in terms of expenses, which can cause real setbacks in the budget. Avoid investing in electronic devices for the moment. The retrogradation of Neptune, the ruling planet of Pisces, ends (11/24). Little by little, you will feel that you take control of yourself, and you will demonstrate your true strength. Chiron will begin its direct phase on your sign (12/09), which will allow you to find the inner peace that you long for, through forgiveness not only towards others but towards yourself. A new concept of personal valuation will strengthen your confidence. New professional relationships will contribute to expanding your horizons and objectives. The projections will surpass your expectations. Strength and vitality. Avoid excessive consumption of alcoholic beverages, especially in public spaces or family gatherings.